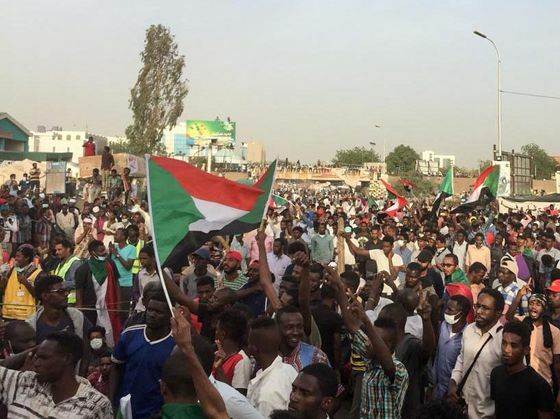 (Bloomberg) -- Sudan’s military overthrew President Omar al-Bashir and announced it would rule the oil-producing North African nation through a transitional council for the next two years, after four months of anti-government protests. Activists condemned the action as a palace coup. 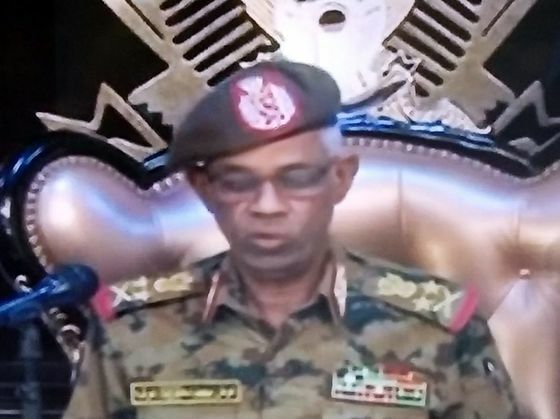 First Vice President and Defense Minister Ahmed Awad Ibn Auf was sworn in late Thursday as head of the transitional council, broadcaster Arabiya reported. In a televised address earlier, he announced a three-month state of emergency, a suspension of the constitution, the release of political prisoners and a month-long 10 p.m.-to-4 a.m. curfew. Al-Bashir is under house arrest, he said. The army’s ouster of al-Bashir, who came to power in a 1989 coup, ends the reign of one of Africa’s longest-serving rulers. The 75-year-old becomes the second regional leader after Algeria’s military-backed president, Abdelaziz Bouteflika, to leave this month in the face of nationwide protests, stirring echoes of the Arab Spring uprisings that rocked the region from 2011. 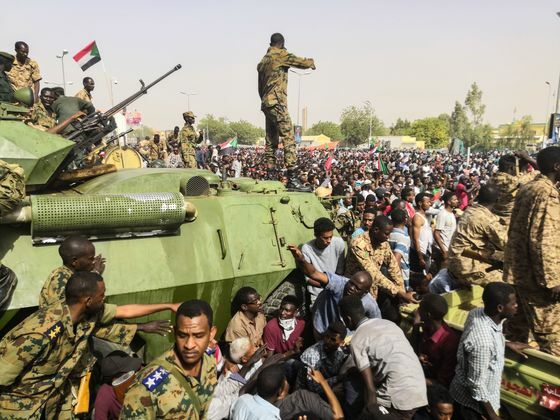 While the African Union Commission’s chairperson, Moussa Faki Mahamat, said “the military take-over is not the appropriate response to the challenges facing Sudan and the aspirations of its people,” a spokesman for the United Nations Secretary-General called for an inclusive transition to democracy. Sudan’s defense minister, too, has faced accusations over his role in a conflict in Sudan’s Darfur region that began in 2003. A former head of military intelligence, Ibn Auf was sanctioned by the U.S. in 2007 for acting as a liaison between Sudan’s government and the Janjaweed, a militia notorious for its attacks on civilians. On Thursday, the U.S. State Department said it was “closely monitoring” the situation and was suspending some bilateral talks with the government which had been scheduled for late April -- and which were being held with the goal of helping the country get off the state sponsor of terrorism list.